I like the idea of a modest temple in Winterhold but the location and size of the house is such that it almost blocks the pathway from the College down to the sea shore which makes it a very unnatural fit, at least with the vanilla city layout. And cleaning with SSEEdit found 9 ITM's. Both your temple and gate mod don't have any clipping or collision problems as far as I can tell. Just wanted to come here and say, first, awesome mod, I really wish there was one for Morthal. Thank you for making this. Second, this is compatible with Winterhold Expanded Ruins. No clipping or any issues. Does this clash heavily with Winterhold Restored? I am asking because your other two Winterhold mods either are compatible or have a patch for the mod. Thanks! Winterhold Gate SE is made by the same developer and does not conflict with this mod. Winterhold Restored needs to be loaded after Winterhold Gate SE. In theory, load first Winterhold Gate SE then Winterhold Temple of Julianos SE followed, followed by Winterhold Restored. 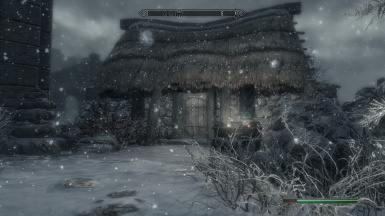 No this mod is not compatible with Winterhold Restored. 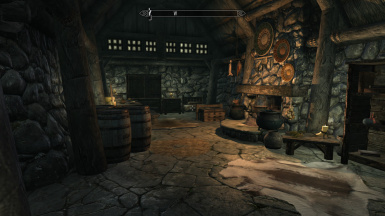 I liaised with the author of Winterhold restored on all of my Winterhold mods to best see where they could fit. The Gate mod was compatible out of the box and the bookstore needed moving. 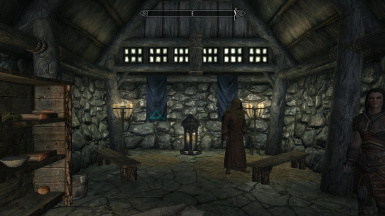 I have no plans to create a patch for this more (Temple of Winterhold) because the author of the Winterhold Restored mod had planned (and I now see it has been implemented) a temple of his/her own. Oh, so he did add a temple of his own? That's a bummer. Thanks for the clarification. Tried to download but it can't be added. It appears that the NNM download files need a few moments after upload to work. They get processed and virus scanned. Please try again as the mod was just uploaded. Thank you. EDIT: NNM downloads are working. 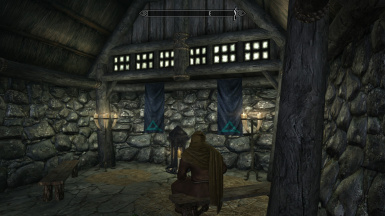 It's working fine now, but I have blackface on the character in the shrine. Ahh the greyface bug surfaces. I am not at home at the moment but I will upload a fix later on Looks like I need to put the facegen data into the file. Whoops. I don't know what you did but It seems to be fine now. Thanks, Endorsed! I like this idea, Perhaps you could make a mod that adds temples of shor or of the ancient nordic gods in the cities of skyrim.